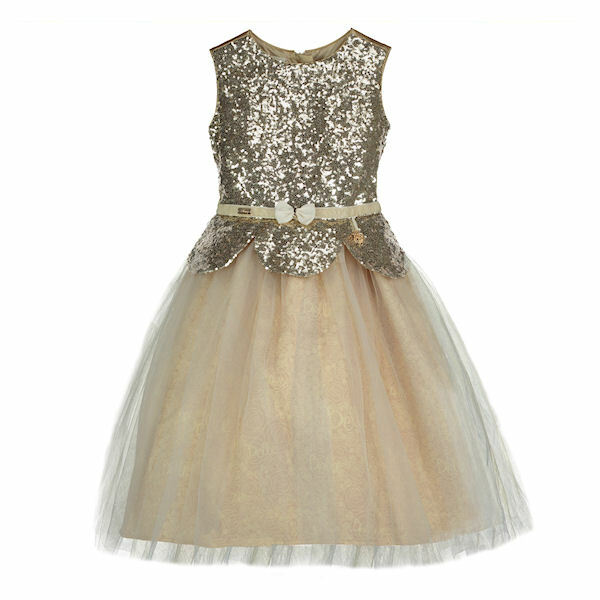 Antique gold sequin bodice with a stylish scalloped peplum at the waist. 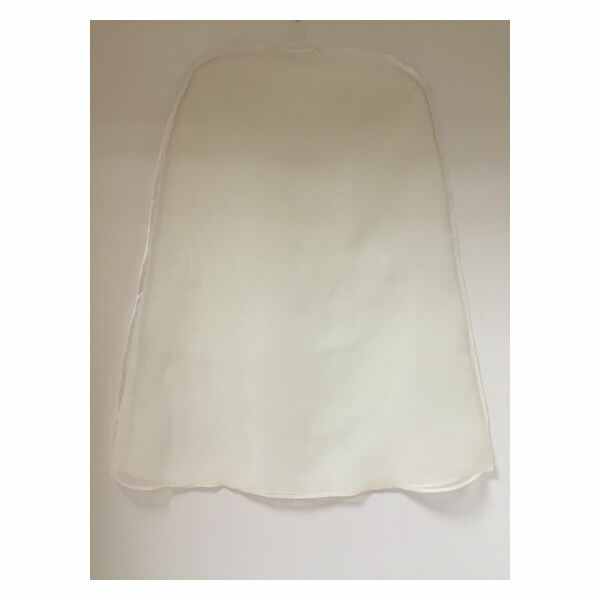 A tulle skirt of sold gold and ivory. 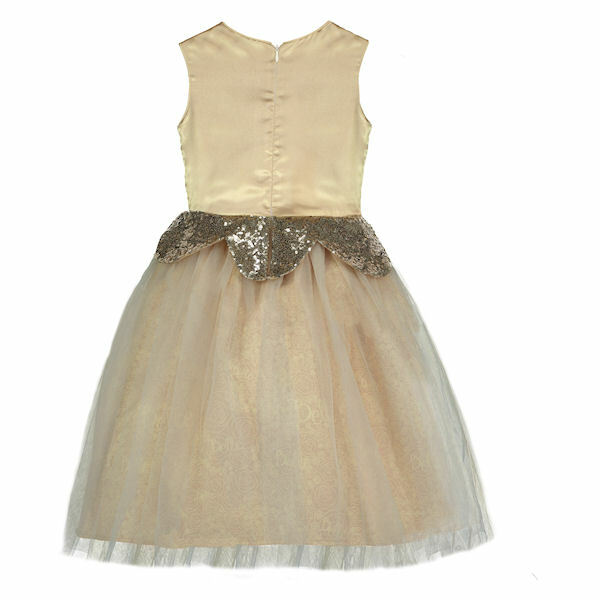 Overlaid with an on layer of a Belle signature silhouetted satin with rose detail. At the waistband is a printed ribbon with beautiful iconic Belle and Disney charms attached. 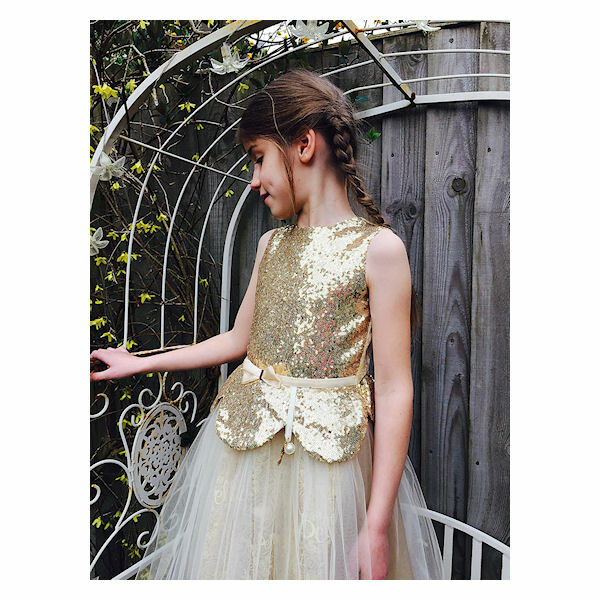 This exquisite piece has an antique gold sequin bodice with a stylish scalloped peplum, which gives a lovely sparkle and shimmer. 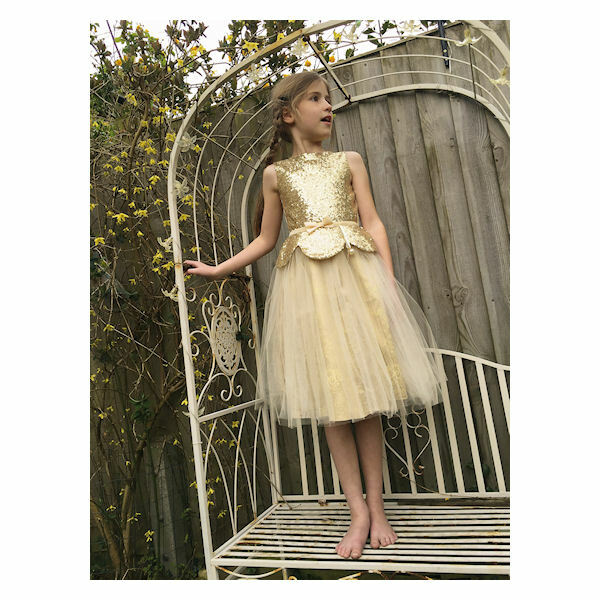 Together with a tulle skirt of sold gold and ivory on top of a Belle signature silhouetted satin skirt with rose detail. Beautiful iconic Belle and Disney charms on printed ribbon add a little magic to this style. 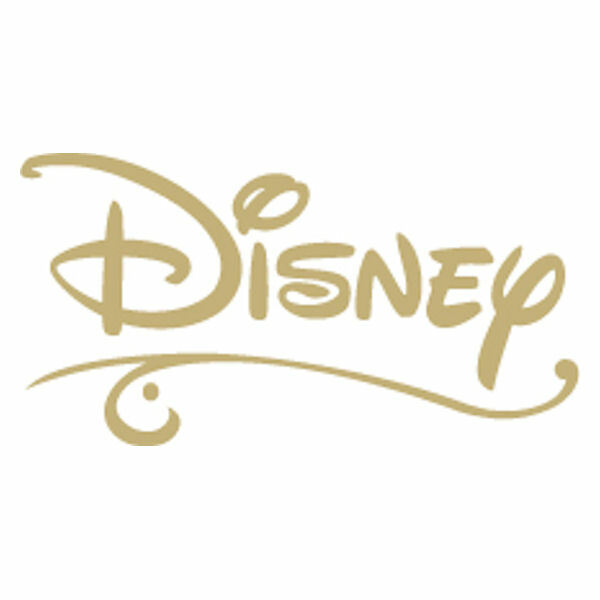 There are no videos for Disney Boutique Collection Belle Peplum by Travis Designs at present.